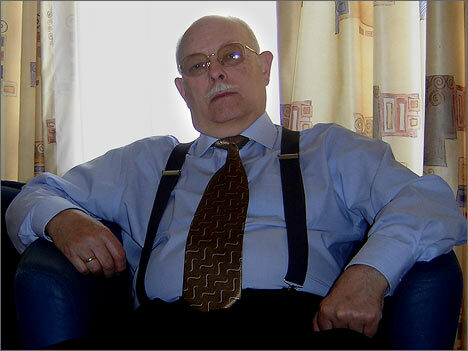 Valery N. Ivanov is a valid State Councilor of Russian Federation of the third rank (retired). At present he is a member of the Board of Directors of the Russian-Afghan Business Council. V.Ivanov had been working at different times at different posts in Afghanistan, 22 years altogether, as a translator, engineer, expert, adviser-consultant in the ministries and departments of the economic bloc of the government of the Democratic Republic of Afghanistan. During 1992-1996 - complicated stage after the historic transition of power in Afghanistan to the Mojahedin government – he run a position of Economic and trade representative of Russia to the Islamic Republic of Afghanistan. In the years of 2002-2005 worked as Economic and trade representative of Russia to the Islamic Republic of Afghanistan. V.Ivanov has got the Russian and Afghan government awards (the order of “Red Banner”, the “Faithfulness” order, the “Honor” order) and others. In 1992 he was awarded with “For Personal Courage" order. V.Ivanov is fluent in Farsi and Dari languages. Ferghana.ru: - Valery Nikolaevich, what can you say about the figure of bin Laden? Does this person exist at all? Valery Ivanov: - You would better to ask this question to the United States security services, which created that military Islamic movement against the Soviet military presence but afterwards failed to restrain it in their subordination. Ferghana.ru: - Few words about the situation in the Islamic Republic of Afghanistan. Can one come to the agreement with the Taliban? Is it a homogeneous structure or there are any division and factions within the Talibs? Valery Ivanov: - As in any such kind of structure there are both more extremist tailored people and less radical. And there are some ready to negotiate. And this is the first step that can be made towards national reconciliation in any form, for example, in the interaction between governmental structures and non-governmental structures of the Taliban. Ferghana.ru: - That means that if Karzai agrees to negotiate with the Taliban, he will negotiate with the Talibs that want this? Valery Ivanov: - Even if there is any statement saying like “we will negotiate”, it is not serious, they are rather PR-colored. Of course there is a need for negotiations but the positions to be determined first. If the Taliban positions, or some parts of them, have changed, that is they recognize some existing order in the country, they are ready for some criticism address to them, and ready to say what changes they want, but not in some basic things, then they will have an opportunity to negotiate with the government. In any case, negotiations are better than war. But I still can’t give examples of how the Taliban has changed its position. For example, as I my Afghan friends told me, the Talibs do not recognize the constitution of Afghanistan, which was accepted by referendum, i.e. by universal voting. Ferghana.ru: - Next year new presidential elections will take place in Afghanistan. How important are they for Afghanistan? Valery Ivanov: - Elections are always important. Any kind of elections. It doesn’t matter if there is a bad or good electoral system in Afghanistan, as long as they are direct and nation-wide. This is a good thing. The candidates for the presidency may declare some of their goals. Someone will develop, perhaps, new, more effective ways; maybe the acting President will announce some additional measures in case of re-election. Thus, new elections enliven the political life of the country very well, and, at the same time, uniting the country to some extent. Ferghana.ru:: - There is an opinion that Americans want to have their person on the post of the President of Afghanistan. Does this mean that Karzai is not their person anymore? Valery Ivanov: - He is still the Americans’ President. But there is an opinion, even among American officials that the Afghan authorities should have acted better. This is not mentioned openly, but is mentioned in passing. Additionally, on the other hand, under the pressure of public opinion, Karzai says that it is time to withdraw the country out of the dense U.S. guardianship, their advising apparatus. But that is only a statement. It is difficult to say how events will develop. I know the opinion of some influential Americans, and they are not very happy with Karzai. Though, what can one expect from the person who has no real power. Ferghana.ru: - Nevertheless, in your opinion, is the situation in today’s Afghanistan is changing for the better? Valery Ivanov: - This is a complicated issue and I can’t give a clear answer. Seven years passed since the operation on elimination of the Talibs started, but there are no effective and serious results so far one could point out. Propaganda insists that military operations are carried out, that someone is caught, someone is killed and annihilated. But in my opinion it is impossible to annihilate the guerrilla movement in Afghanistan at all. All this will continue: sometimes the resistance will become stronger, sometime it will become weaker. Therefore, I believe that there is a need to keep the country’s economy first of all. Ferghana.ru: - Did Soviet Union build something in Afghanistan at one time? Valery Ivanov: - Not “something” but one hundred and forty-two objects, which laid the basis of the Afghan economy! Among them there are Hydroelectric power station in Puli-Khumri, Naglu dam and hydroelectric power station, hundreds of kilometers of power lines with substations, eight oil bases, motor transport companies, factories and aerodromes, communication multiple-lines, house-building industrial complexes, entire micro-districts, institutions and technical secondary schools, irrigation canals and farms… (a complete list of buildings built in the assistance of the USSR, is available here. – Ferghana.ru). Ferghana.ru: - In what condition they are today? Valery Ivanov: - All of the listed above objects worked until 1992 – right up till until the outbreak of civil war in Afghanistan. During the war many of them were destroyed (Dzhangalak plant, power lines, irrigation infrastructure and state farms in Jelalabad, etc. ), several national enterprises became into neglect state because of not exploiting and, thus, not servicing (gas pipelines, roads, repair shops, automobile works enterprises, etc.). Ferghana.ru: - Is it worth for Russia to interfere in Afghan affairs again? If yes, in what form it should be done? Valery Ivanov: - Well, let it be so… In any case Russia remains a key player on the political area of Central Asian region. And we do care, for example, where drugs come into our country from by augmentative steps. All these internal factions – no matter who is involved in them, the Taliban or someone else – are taking place in the underbelly of Russia. And this fact is not very pleasant for us. Therefore, undoubtedly we should participate in any activities that would contribute to the elimination such a situation. Ferghana.ru: - What could be the possible mechanisms of participation of Russia and Shanghai Cooperation Organization participating states in resisting drug trafficking and in reviving economy in current Afghanistan? Valery Ivanov: - Unfortunately, such mechanisms are not developed yet. As I understand, one of the goals of recently held conference in Issyk-Kul was to encourage these states to begin this work. Specifically on the basis of the goals and objectives declared by the SCO, including “…encouraging effective regional cooperation in political, trade-economic, defense, law enforcement, environmental, cultural, scientific and technological, educational, energy, transport, monetary and other areas of common interest”, states could try to offer possible dimensions of joint actions on the Afghan economic area, aiming to raise the effectiveness of the process of reconstruction of Afghanistan. Despite this, it should be noted that in the Islamic Republic of Afghanistan there were no real actions done so far within the framework of the SCO. Moreover, it seems to me that SCO itself can do nothing in this part by virtue of its own, better to say – property-owning – interests of each of the participating states. The attempts to coordinate the efforts of the international community (donor-states) with its financial capabilities but with the lack of practical knowledge and experience of working in the economic area in Afghanistan, with the heritage in this area that Russia and neighboring countries of Central Asia had (basic objects of Afghan economy, including infrastructure, exploration and mining, engineering industry enterprises and chemical industry enterprises, processing, as well as irrigation and reclamation) which were undertaken during the period of 2002-2005 by trade and economic representation of Russia in the Islamic Republic of Afghanistan, unfortunately, had no success. This is understandable, because (without mentioning Western donor-states and the U.S., which perhaps put their defined goals to stay in Afghanistan and not really striving, as it could be seen from the results of the seven years of presence, for accelerated restoration of economic potential of the country and for its development) Central Asian countries started competition among themselves (that is more than clear and natural in terms of economy and trade) for the profitable projects: construction of railways, roads, power lines, etc. Honestly saying, the results are not so good although SCO participating state occupy almost 25 percent of the total Afghan imports. In this part China has got an isolated place, because, as everybody knows, has always pursued purely its own interests in foreign countries. Therefore, today there is a need to put the task of the importance of coordination of economic activity in Afghanistan within the SCO framework in the interests, first of all, of the forthcoming restoration of the development of the economic potential of this country, while throwing away short-term interests of each member of the organization. Ferghana.ru: - What exactly should be done today? Valery Ivanov: - There is a need to elaborate conceptual approaches to the joint participation of the SCO participating states in the reconstruction of Afghanistan as soon as possible, to come to an agreement about common principles and pick out projects which are of interest of all participants. For this a working group of experts-representatives of the SCO should be established. To charge with the SCO contact group (possibly by giving it greater status and authority) to come to an agreement with the main donor-states, as well as with the IBRD, ADB, the European Commission about specific joint actions for the accelerated reconstruction of Afghanistan. Dividends (if any) could be divided later, when other threats will be eliminated. At the same time the simple truth should be taken into account – the more manpower will be employed simultaneously on large objects and construction works, the weaker militant troops will become, which often consists of young men unable to earn for livelihood. For example, during construction works at only one road Kushka-Herat-Kandahar in 60th of the last century more than 10 thousand workers and technical engineers were employed. There is similar data on employment during construction works at Jelalabad irrigation complex, nitrogen fertilizers plant in Mazar-e Sharif, construction of roads through the Salang pass, etc. During new construction works people from poppy-plantations will drawn off. Within the SCO framework, specifically among Central Asian states it is possible to come to an agreement and to resolve the issue of granting preferences for goods transit imported to or exported from Afghanistan. A positive solution to this problem would reduce tariffs for the transportation, thus would make cheaper necessary construction materials and equipment for Afghanistan, as well as rising in price food imported to Afghanistan by these states.